Their eggs are sold in highly questionable ways by supermarkets in the network, which include the EXTRA, ASSAI and Pão de Açúcar networks. Grupo Pão de Açúcar (GPA) has announced a policy free of cages ONLY for eggs of own brands. 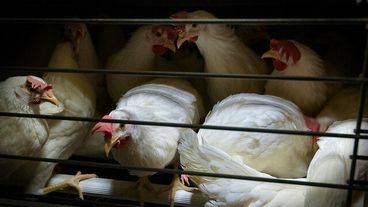 We declare that this is unacceptable, because in this way the GPA will be able to sell a much larger percentage of eggs from other brands - which use cages, in detriment to the own brand. That is to say: the GPA is, little by little, getting rid of the responsibility of eliminating the torture of chickens in cage. We want an urgent GPA position on the end of the cages! Noted and signed earlier. Thank you for posting Pablo.